New ute could become Jeep's best-seller. 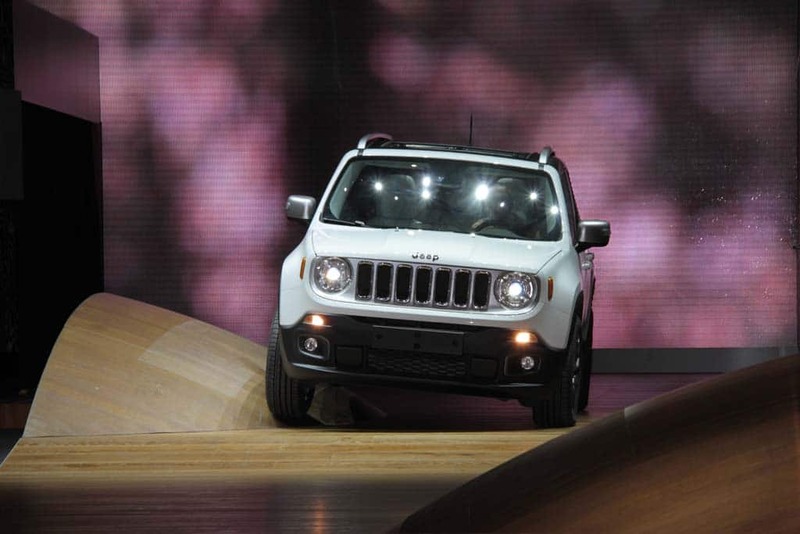 The Jeep Renegade makes its Geneva debut. 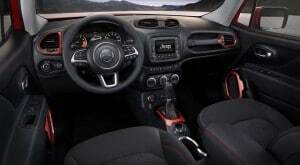 Big things come in small packages, or so Jeep is hoping as it enters one of the world’s fastest-growing market segments with the new compact Jeep Renegade which is making its public debut at the 2014 Geneva Auto Show. Using an all-new platform and a mix of 16 different powertrain packages targeting different markets, Jeep is counting on the Renegade to give it some much-needed momentum as it presses forward with its global expansion plan. Manley is so confident about that global expansion that he is boosting Jeep’s sale forecast for 2014 from the original target of 800,000 to a full1 million. And it could grow even faster if Jeep can soon wrap up plans to launch production in China, the world’s largest automotive market. Significantly, the new Renegade will be assembled in Italy, at Fiat’s Melfi plant — and will be exported, eventually, to about 100 countries. The Renegade will be offered with a wide variety of powertrains - and a Trailhawk off-road model. In many ways, the new compact sport-utility vehicle is a more traditional Jeep than the recently added – and quite controversial — Cherokee model. There are the brand’s classic visual cues, including the upright, 7-slot grille and round headlamps, the bright red towhooks, the high ground clearance, short overhangs and the tall roofline that can make the Renegade look, at first glance, a bit bigger than it really is with a modest 100-inch wheelbase. The new ute is based off a new platform that parent Fiat Chrysler dubs the “small-wide 4×4 architecture.” It is a much-modified version of the platform used by the Italian side of the family for the new 500L and the upcoming 500X – and actually traces its roots back to an earlier joint venture between Fiat and General Motors. But there’s more that differentiates them than the Fiat and Jeep models have in common, company executives are quick to emphasize. The Jeep Renegade will be offered with a variety of on- and off-road features, from its rock-crawling drivetrain to two Open Sky roofs. Like the new Cherokee, the Jeep Renegade will continue to offer potential buyers the sort of off-road capabilities the brand has long been known for. The Renegade Trailhawk will boast true rock-crawling features including an Active Drive Low system including a 20:1 crawl ratio and the Jeep Selec-Terrain system that allows a motorist to cope with varying road and trail conditions. A simple turn of the dial and functions including brakes, throttle and transmission automatically adjust to five different modes – for rocks, snow sand mud — or highway. “We put as much Wrangler DNA in this as possible,” suggested Manley. That said, there’s also a more basic 4×4 system available for those who’re likely to stick to highways and city streets – and that’s where the compact ute segment is growing fastest. These so-called B-segment models now account for about 2.7 million sales annually, European accounting for 40% of the demand, Asia a wee bit more. The U.S. actually lags well behind, at only 250,000, but demand is expected to grow there, as well, as buyers continue to downsize. 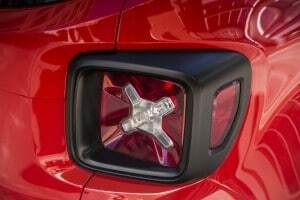 The new Jeep Renegade will target one of the world's fastest-growing market segments. 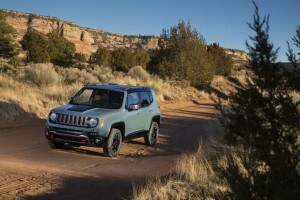 While Jeep may be a force to reckon with in the States, it is a minor player in many overseas market – although sales have begun to grow rapidly since parent Chrysler teamed up with Fiat a few years ago – so the Renegade will be a critical addition to the Jeep line-up. To give it momentum, Jeep is loading the new model up with a variety of features, such as the two My Sky open-air roof systems buyers will be able to choose from. There will be a number of high-tech infotainment systems traditionally found in much more expensive SUVs, including the Uconnect touchscreen package, and what Jeep is billing as the segment’s largest full-color instrument cluster. 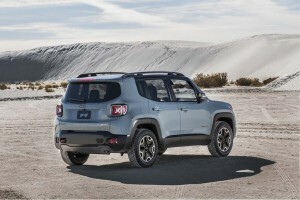 The 2015 Jeep Renegade will feature an optional WiFi hotspot and the Uconnect Access system will allow such things as remote start, remote door unlocking, cloud-based voice texting and one-touch access to roadside assistance and emergency providers. The system will even provide sports scores and movie timetables while also tracking down the lowest fuel prices nearby. Depending upon the market, Jeep will be offering 16 different engine packages for the Renegade, including four MultiAir gasoline packages and two MultiJet II diesels. The 9-speed automatic transmission first offered on the 2014 Cherokee will be available with a number of the engines and, in some configurations will yield as much as 30 mpg on the highway. 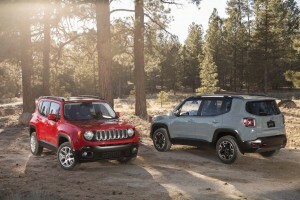 The Renegade will offer the largest full-color instrument package in the segment, Jeep claims. A key goal was to make the interior feel as large as possible, something helped by the tall roofline. 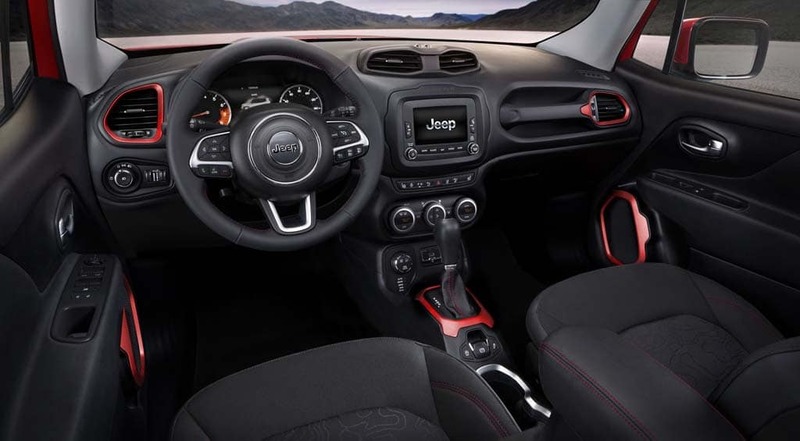 But the use of soft-touch materials and more refined materials gives the cabin an upscale, if playful, feel — perhaps enhanced by the distinctive vents atop the center stack which, Hatch confides, remind him a bit of the movie robot WALL-E.
On the safety front, the new Jeep Renegade will offer an extensive complement of technologies, including Lane Departure Warning, Lane Assist, Blind Spot Warnings, Rollover Mitigation, Frontal Collision Warning and seven airbags. The Jeep Renegade's distinctive taillight. Jeep isn’t ready to announce the price but Manley promises it will be “competitive.” The maker clearly has big hopes for Renegade which, Manley says, “has the potential” to become the highest-volume model in the SUV brand’s history. A right-hand-drive model will help enhance its appeal in the U.K. and other right-drive markets. The 2015 Renegade will reach European showrooms by the end of the third quarter, with a U.S. sales launch in late December. This entry was posted on Tuesday, March 4th, 2014 at and is filed under Automobiles. You can follow any responses to this entry through the RSS 2.0 feed. Both comments and pings are currently closed. It looks OK, except that massive D pillar made me instantly think “Kia Soul.” I’m not sure that is the comparison FCA wants. I do wonder if this constant brand proliferation to compete in every market niche is just another dissolution of a great iconic name that will backfire; the original (unfortunate) face of the Jeep Compass being an example.